Bradon Ellem is a Professor of Employment Relations in the University of Sydney Business School where he teaches in both the undergraduate and postgraduate programs. In second semester 2019 he is teaching WORK2203 Industrial Relations Policy and Processes, WORK3208 Globalisation, Work and Employment and WORK6012 Industrial Relations Policy. Bradon’s research has examined industrial relations in the resources sector, government industrial relations policy and union strategy. His history of industrial relations in the iron ore industry, The Pilbara: From the Deserts Profits Come, which is the result of more than a decade’s research, was published in July 2017 by UWA Publishing. His work has been published in leading international and local academic journals as well as in commissioned reports, trade journals and submissions. He is now completing an ARC-funded project with colleagues at the University of Western Australia examining engineering service work in Australian mining and commencing a study of production networks and industrial relations in the offshore gas industry across SE Asia. Bradon holds a number of leading positions in the field. Since 2006, he has been a Co-Editor of the Journal of Industrial Relations. He is a Senior Honorary Research Fellow in the University of Western Australia Business School. 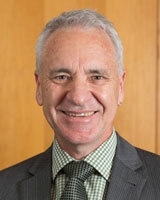 He is a long-standing member of the Executive Committee of the Industrial Relations Society of New South Wales. Professor Bradon Ellem is interested in the ways in which global economic changes and national regulatory frameworks shape local work and employment relations. Originally trained as a historian, Bradon also has a long-standing interest in the field of ‘labour geography’, so his work brings together insights from three disciplines, industrial relations, geography and history, to make sense of current problems. He has written about employment relations in sectors as different from each other as clothing manufacturing and iron ore mining and in places as diverse as the Pilbara and northern Sweden; he has studied union campaigns at both local and national scales; and, with Rae Cooper, he has written about the controversies over changes in labour law from Work Choices to the current Fair Work Act. His current research program is shaped by his interest in taking seriously the geographies of work and employment relations – explaining that globalisation’s impacts are more complex and variable than we often imagine. Three major projects investigate aspects of these problems: a book, The Pilbara: From the Deserts Profits Come (July 2017) which draws together a decade of research on employment relations in the fifty-year history of the Pilbara’s iron ore industry; an ARC-funded project examining work and production networks in mining-engineering; and a new study of another set of transnational work sites, the offshore liquefied gas industry across northern Australia and Southeast Asia. Much of this research and writing goes to the core of major, global concerns around resource security and sustainable development, examining the work practices and community formations in the mining and energy sectors, the creation of export markets for Australian resources and the development of energy supplies in other countries. All of this needs to be understood in terms of the global production networks which organise massive flows of capital and labour within and across national economic spaces. These formations complicate the question of how work itself is organised and regulated and how the value in these industries is distributed. Ellem B, Sandstrom J, and Persson C (2019) Malmfalten and the Pilbara: Comparing Labour European Journal of Industrial Relations, In Press. Cooper R, and Ellem B (2017) Cold Climate: Australian Unions, Policy and the State Comparative Labor Law and Policy Journal, 38 (3), 415-435. Ellem B (2017) The Pilbara: From the Deserts Profits Come; UWA Publishing, Crawley. Ellem B (2015) Workplace Relations and Resources Productivity: At Work on Chevron's Gorgon Project - Submission to Productivity Commission Inquiry: The Workplace Relations Framework. Rainnie A, Fitzgerald S, Ellem B, and Goods C (2014) FIFO and Global Production Networks: Exploring the Issues Australian Bulletin of Labour, 40 (2), 98-115. Ellem B (2014) Rio Tinto and 'Direct Engagement'; CFMEU Mining and Energy Division, Sydney, 1-12. Ellem B (2014) What is Happening on Chevron's Gorgon Project? A Preliminary Report to the International Transport Workers' Federation; Maritime Union of Australia, North Fremantle, 1-34. Ellem B (2012) Tethered to the World: Rio Tinto's Railway and its Workers Common Cause, 78 (6), 22-23. Ellem B (2012) Tethered to the World: Rio Tinto's Railway and its Workers Common Cause, 78 (5), 20-21. Ellem B (2012) Tethered to the World: Rio Tinto's Railway and its Workers Common Cause, 78 (4), 20-21. Ellem B (2012) "We're Still Here": Pilbara Rail Workers, their Union and Rio Tinto Common Cause, 78 (3), 12-13.
Cooper R, and Ellem B (2011) Trade Unions and Collective Bargaining Work and Employment Relations: An Era of Change; The Federation Press, Sydney, Australia, 34-50.
Cooper R, and Ellem B (2011) The Neoliberal State, Trade Unions and Collective Bargaining in Australia Industrial Relations - SAGE Library in Business and Management; Sage Publications, London, United Kingdom, 263-284. Ellem B (2011) Scaling Labour: Australian Unions and Global Mining Industrial Relations - SAGE Library in Business and Management; Sage Publications, London, United Kingdom, 83-100. Baird M, and Ellem B (2010) Editorial: The New World of Work, Organisations and Employment Journal of Industrial Relations, 52 (5), 539-542. Ellem B (2010) The Making of Industrial Relations Policy: Where Are We Now And How Did We Get Here? Labour and Industry, 21 (1), 353-368. Ellem B, and Sheldon P (2010) Jim Hagan and Apprentice Historians Labour History, 98, 231-236. Ellem B (2010) Contested space: union organising in the old economy Handbook of Employment and Society: Working Space; Edward Elgar Publishing, Cheltenham United Kingdom, 349-367. Baird M, Cooper R, and Ellem B (2009) Low-paid women: the impact of regulatory change in Australia Industrial Relations Journal, 40 (5), 393-407.
Cooper R, and Ellem B (2009) Fair Work and the Re-regulation of Collective Bargaining Australian Journal of Labour Law, 22 (3), 115-305.
Cooper R, and Ellem B (2008) The assault on collective bargaining The State of Industrial Relations, 47 (3), 41-50. Ellem B, and Franks P (2008) Trade Union Structure and Politics in Australia and New Zealand Labour History, 95 (November), 43-67. Baird M, Cooper R, Ellem B, and Oliver D (2008) Work Choices and Beyond: Industrial Relations Policy and Low-Paid Women Workers Making the Link- Affirmative Action and Employment Relations Volume 19; CCH Australia Ltd, North Ryde NSW Australia, 5-9.
Cooper R, and Ellem B (2008) To be fair, Gillard must respect real work choices The Canberra Times . Ellem B, Oxenbridge S, and Gahan B (2008) "The Fight of our Lives": An Evaluation of Unions NSW and the Your Rights at Work Campaign, 2004-2007; University of Sydney, Sydney, 5-172.
Cooper R, Briggs C, Ellem B, and Van Den Broek D (2007) The new Australian employer militancy Perspectives on Work, 11 (1), 39-41.
Cooper R, and Ellem B (2007) "Less than Zero": Union Recognition and Bargaining Rights in Australia "Varieties of Capitalism: Organisational, Management and Human Resource Implications", The 22nd Annual Employment Research Unit Conference, Cardiff Business School 2007; Cardiff Business School, United Kingdom. Cooper R, and Ellem B (2007) Australian Unionism: Collectivism, power, purpose Trans Tasman Labour History Conference 2007; Auckland University of Technology, New Zealand. Ellem B (2007) From Robe River to Work Choices 10th National Labour History Conference 2007; Australian Society for the Study of Labour History, Australia. Ellem B (2007) From Robe to Work Choices: The Productivity Myth 21st Conference of the Association of Industrial Relations Academics of Australia and New Zealand (AIRAANZ 2007); Association of Industrial Relations Academics of Australia and New Zealand (AIRAANZ). Ellem B (2007) More Work, Less Choice: The Impact of National Labour Re-Regulation on Low-Paid Women Workers in the Australian Capital Territory. Elton J, Bailey J, Baird M, Charlesworth S, Cooper R, Ellem B, Jefferson T, MacDonald F, Oliver D, Pocock B, and et al (2007) Work Choices and Women: Impacts on the Low Pay Sector; Centre for Work + Life, Hawke Research Institute for Sustainable Societies, University of South Australia, Adelaide, 5-34. Elton J, Bailey J, Baird M, Charlesworth S, Cooper R, Ellem B, Jefferson T, MacDonald F, Oliver D, Pocock B, and et al (2007) Women and WorkChoices: Impacts on the Low Pay Sector. Cooper R, Briggs C, Ellem B, and Van Den Broek D (2006) Anti unionism in Australia International Union Rights, 13. Ellem B (2006) Book Review: The great labour schism: A retrospective by B Coster, P Love and P Strangio Australian Historical Studies, 37 (127), 252-253. Ellem B (2006) From Robe to WorkChoices: The Productivity Myth Common Cause, 72 (4), 14-15. Ellem B (2006) Beyond industrial relations: WorkChoices and the reshaping of labour, class and the Commonwealth Labour History, 90, 211-220. Baird M, Ellem B, and Page A (2006) Human Resource Management, Work Choices Update; Thomson, Melbourne. Baird M, Ellem B, and Page A (2006) WorkChoices: Changes and Challenges for Human Resource Management; Thomson (Learning Australia), South Melbourne. Ellem B (2006) Exploring the Geography of Union Decline and Renewal 20th Conference of the Association of Industrial Relations Academics of Australia and New Zealand (AIRAANZ 2006); University of South Australia, Centre for Research in Education, Equity and Work, Adelaide. Cooper R, and Ellem B (2006) Union power: Space, structure, and strategy Rethinking Work, Time, Space and Discourse; Cambridge University Press, Port Melbourne, Australia, 123-143. Ellem B, and Shields J (2006) The far west (1) People and Politics in Regional New South Wales Volume 1 - 1856 to the 1950s; The Federation Press, Sydney, 294-326. Ellem B, Kimber J, and Shields J (2006) The far west (2) People and Politics in Regional New South Wales Volume Two - the 1950s to 2006; The Federation Press, Sydney, 282-316. Baird M, Ellem B, and Wright C (2005) Why the states matter in industrial relations (Symposium: State Systems of Industrial Relations) Australian Review of Public Affairs, 19 September 2005. Briggs C, Cooper R, and Ellem B (2005) What about collective bargaining? The State of the States, 2005, 66-74. Ellem B (2005) Putting work in its place: The making of ideal workers and social contracts Asia Pacific Journal of Human Resources, 43 (2), 238-251. Baird M, Ellem B, and Wright C (2005) Re-working policy: Industrial relations in the Australian states 19th Conference of the Association of Industrial Relations Academics of Australia and New Zealand AIRAANZ 2005; Association of Industrial Relations Academics of Australia and New Zealand (AIRAANZ), Australia. Baird M, Ellem B, and Wright C (2005) Beyond the National: Explaining Industrial Relations Policy in the Australian States British Universities Industrial Relations Association Annual Conference; British Universities Industrial Relations Association, Newcastle, United Kingdom. Cooper R, and Ellem B (2005) Union power: Space, structure, strategy 19th Conference of the Association of Industrial Relations Academics of Australia and New Zealand AIRAANZ 2005; Association of Industrial Relations Academics of Australia and New Zealand (AIRAANZ), Australia. Shields J, and Ellem B (2005) Electoral politics and the Broken Hill labour movement, 1921-50 9th National Labour History Conference 2005; Australian Society for the Study of Labour History, Sydney, Australia. Ellem B (2005) What About the Workers? Labour and the Making of Regions New Regionalism in Australia; Ashgate, United Kingdom, 217-235. Shields J, and Ellem B (2005) O'Neill, Eugene Patrick (1874-1953) Australian Dictionary of Biography; Supplement, 312-313. Ellem B (2004) Hard Ground: Unions in the Pilbara; Pilbara Mineworkers Union, Port Hedland. Ellem B, Markey R, and Shields J (2004) Peak Unions in Australia: Origin, Power, Purpose, Agency; Federation Press, Australia. Ellem B (2004) The Dialectics of Scale: Union Transformation in the Pilbara, 1999-2003 18th Conference of the Association of Industrial Relations Academics of Australia and New Zealand AIRAANZ 2004; Association of Industrial Relations Academics of Australia and New Zealand (AIRAANZ), Australia. Ellem B (2004) Making Utopias: Putting Workers in Their Place Industrial Relations Society of Western Australia Annual Convention IRSWA 2004; Industrial Relations Society of Western Australia, Australia. Ellem B (2004) Things are different here: Explaining spatial differences in industrial relations Industrial Relations Society of the Northern Territory Annual Convention IRSNT 2004; Industrial Relations Society of the Northern Territory, Australia. Ellem B (2004) Elliot Jaques and Industrial Relations Rapporteur Conference on Organisation and Human Potential: Elliot Jaques and Australian Management Practice 2004. Ellem B, and Shields J (2004) Beyond The 'Will To Unity': Theorising Peak Union Organisation And Agency Peak Unions in Australia: Origin, Power, Purpose, Agency; Federation Press, Australia, 32-53. Ellem B, and Shields J (2004) The Barrier Industrial Council: A Study In Local Peak Union Origins, Purpose, Power And Decline Peak Unions in Australia: Origin, Power, Purpose, Agency; Federation Press, Australia, 133-151. Ellem B, Markey R, and Shields J (2004) Introduction Peak Unions in Australia: Origin, Power, Purpose, Agency; Federation Press, Australia, 1-8. Fry S, Shields J, and Ellem B (2004) The Industrial and Political Role of the Trades and Labour Council of Queensland Since 1922: A Reassessment Peak Unions in Australia: Origin, Power, Purpose, Agency; Federation Press, Australia, 99-115. Ellem B (2003) New unionism in the old economy: Community and collectivism in the Pilbara's mining towns Journal of Industrial Relations, 45 (4), 423-441. Ellem B (2003) New Unionism in the Old Economy: Community and Collectivism in the Pilbara 17th Association of Industrial Relations Academics of Australia and New Zealand Conference AIRAANZ 2003; Association of Industrial Relations Academics of Australia and New Zealand (AIRAANZ), Australia. Ellem B (2003) Remaking unions: Place and community in Western Australia's iron ore towns Royal Geographical Society/Institute of British Geographers Annual Conference 2003; Royal Geographical Society, United Kingdom. Ellem B (2003) Recontested terrain? New forms of regulation in the old economy: Collectivism and individualism in Australia's iron ore mines 13th World Congress of the International Industrial Relations Association IIRA 2003; International Industrial Relations Association, Switzerland. Professor Bradon Ellem was interviewed on ABC Illawarra on a union dispute at the Port Kembla Coal Terminal. Professor Bradon Ellem was interviewed on ABC’s 7.30 on a union dispute at the Port Kembla Coal Terminal. ABC North West WA replayed an excerpt of an interview with Professor Bradon Ellem from the Business School about the 12-hour shift. New Books Network published an article about Professor Bradon Ellem’s new book, The Pilbara: From the Deserts Profits Come. ABC Radio National interviewed Professor Bradon Ellem about his new research on trade unions and industrial action in the Pilbara mining area.